Zoe is Ella’s best friend in the whole world. They do everything they can together. Then their teacher announces a fund raising activity with a prize going to the person who sells the most chocolate. Will their friendship stand this test? Who will sell the most chocolate? 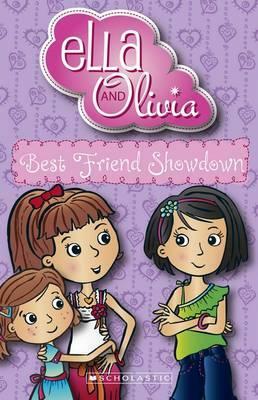 Ella is about to give up when she finds out she has a secret weapon – her sister Olivia. This is a really fun read and great for those who are ready to read a little more the the most basic of first readers. One of the appeals of this series is the fact that family is celebrated. There is a real joy in this book even as it deals with Ella’s struggle in trying to win. A lovely series.